These two particles are used to express a direction, whereas に (ni) defines a precise location and へ (e) more an area. Romaji watashi wa kaisha ni ikimasu. English I go to my company. Romaji watashi wa rainen nihon e ikimasu. English I will go to Japan next year. Subscribe by mail & get your daily lesson. 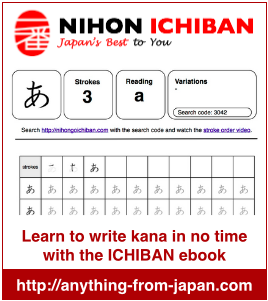 Enter your email address to follow NIHONGO ICHIBAN and receive notifications of new posts by email.